French: Gobemouche gris; German: Grauschnapper; Spanish: Papamoscas Gris. The body length is about 5 in (13-14 cm). Both sexes are colored alike, having a brownish gray back, head, and tail and a white belly and throat streaked with gray. The juvenile is more spotted. 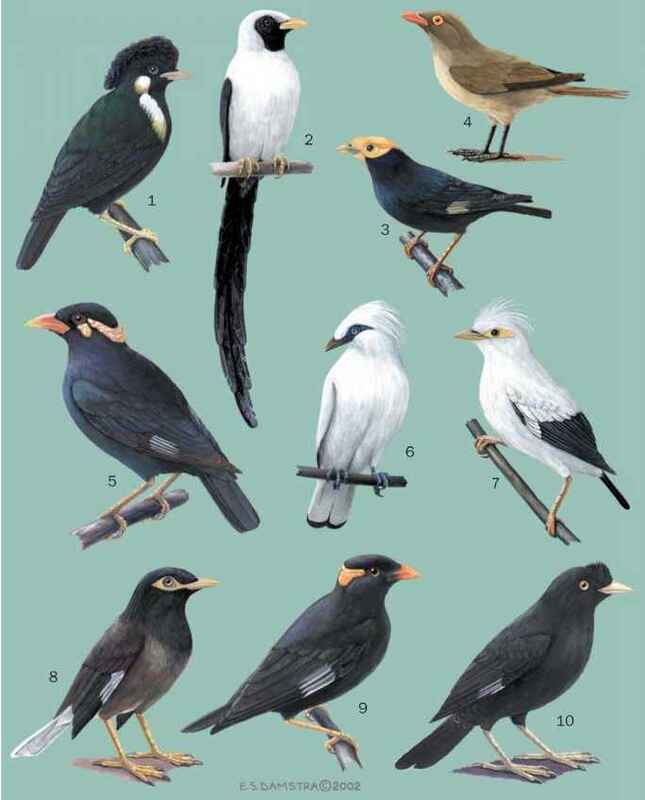 Various subspecies have been described based on plumage and song characters. Breeds widely in northern and central Europe and European and central Russia, and winters in southern Africa. Breeds in temperate forest edges, woods, parks, orchards, and gardens. A migratory species. Pairs of breeding birds defend a territory. Winters as single birds. Often flicks its wings and tail when perched. The song is delivered from a prominent perch, and is a series of about six squeaky notes. Spots flying insects from a prominent perch and then pursues the prey by an aerial sally. Usually returns persistently to the same perch. Builds a cup-shaped nest in a tree crotch, shallow tree-cavity, or behind loose bark, and also uses nest-boxes. Lays four to six greenish eggs with rust-colored spots.